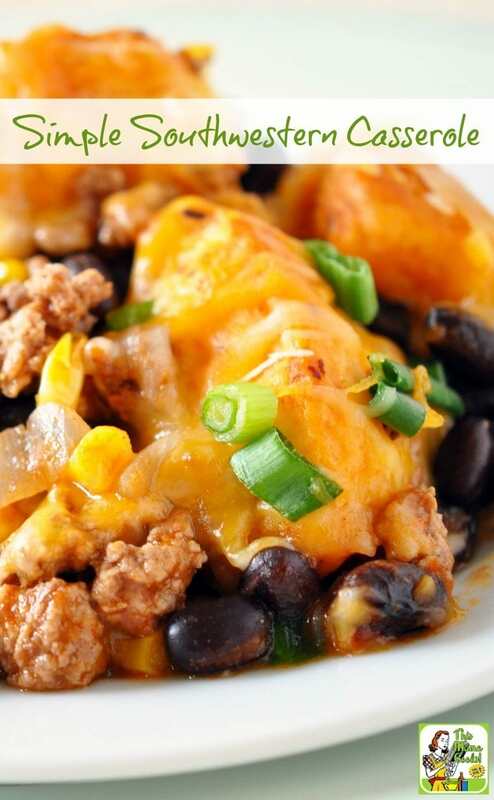 This Simple Southwestern Casserole recipe is perfect on those days where you get home late from work or driving the kids around to afterschool activities and barely make it home before dinnertime. Or just maybe you just want an easy and simple casserole recipe that’s hardy and deal for those busy weeknights. Either way, Holly Clegg’s easy casserole recipe is sure to become a family favorite. I have such a great back to school recipe that will give you dinner on the table in 30 minutes - Simple Southwestern Casserole! With kids back in school and afterschool activities taking up your time, you need back to school dinner recipes and you need them fast! From my easiest of easy cookbooks, KITCHEN 101: Secrets to Cooking Confidence, Simple Southwestern Casserole has been my family’s dinner go-to for years! Kids and adults will enjoy digging into this delicious meal. 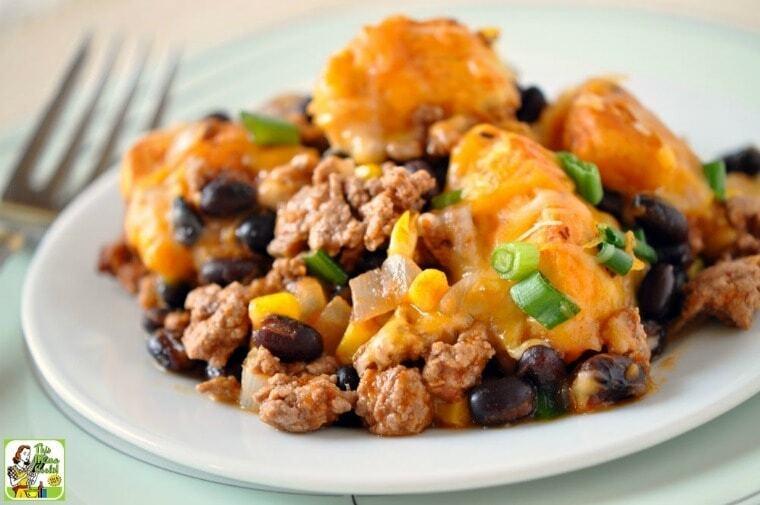 You’ll love how quick and easy this Simple Southwest Casserole is to prepare using pantry and freezer friendly ingredients. Keep them on hand to whip this yummy meal up regularly. We sure do! What cooking spray do you use? I love Pam’s Organic Olive Oil cooking spray. Works great! Use kitchen scissors to make cutting biscuits easy. Follow Bisquick’s directions to make biscuit dough. (It should be right on the box.) Then follow Holly’s Simple Southwestern Casserole directions to add the gluten free biscuit dough to the casserole mixture. If you can’t find one, you can use salsa instead in this quick and easy casserole recipe. Remember to look for ground sirloin, as any meat ending in “loin” or “round” is the leanest cut of meat you’ll find at your grocery store. Another tasty and cheaper alternative to ground loin is ground turkey. I prefer using it beef in my easy casserole recipes. Posted in Gluten Free, Recipes and tagged beef, casseroles, ground meat on September 23, 2016 by Anne-Marie Nichols.